I strongly believe that by doing the work, the end result will take care of itself, whether it's in a classroom or in running, or really any endeavor. 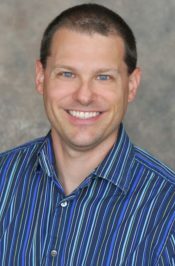 Erik Heine is a Full Professor here at OCU and the Assistant Director of OCU's Honors Program, and he teaches music theory courses in OCU's Wanda L. Bass School of Music. He is a husband and the father of two boys, ages 11 and 2. Heine ran track and cross country in high school and says he "fell off the wagon for a long time, picked it back up while writing my dissertation, and became serious about it again in 2013." 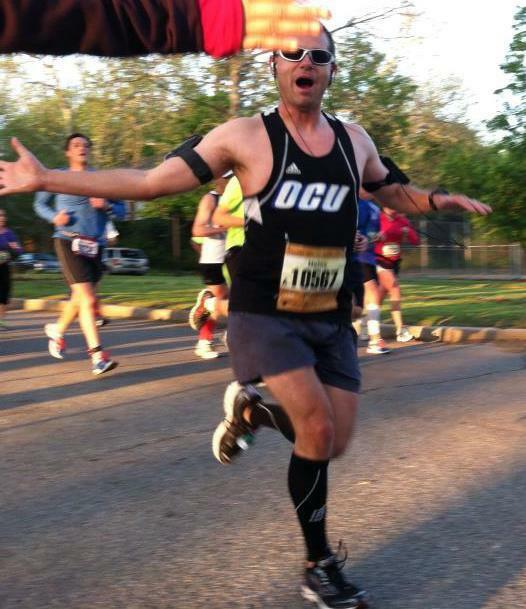 He has run races in distances from 2 miles to 24 hours. He ran over 5300miles in the 2016 and 2017 calendar years combined. Heine also feels strongly about helping those who cannot always help themselves, largely because his son Stephen is disabled. 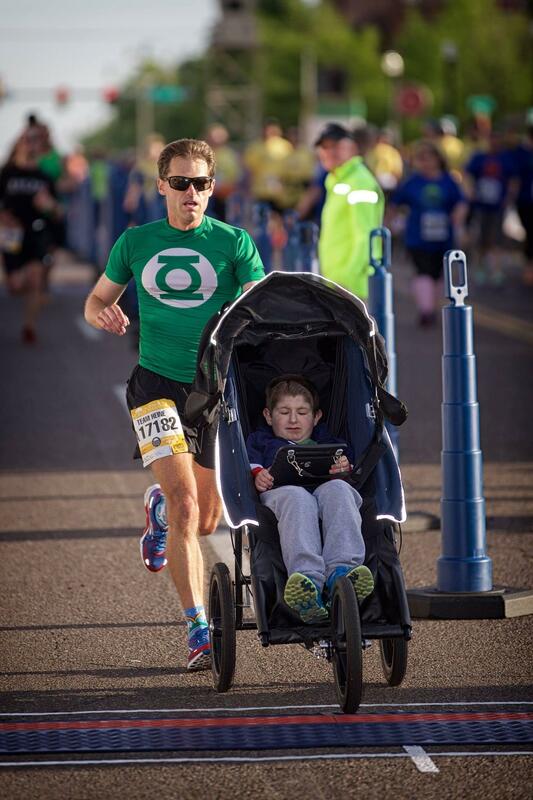 "I run with him (by pushing him in an adaptive chair) nearly every weekend, hoping to give him the experience that other children have of running." Heine has taught at OCU since 2005, landing the position right out of graduate school. He credits Mark Parker, the Dean of the Wanda L. Bass School of Music, for taking a chance on him as a newly-minted PhD. When talking about his role as professor, Heine says, "I view myself not just as one who educates, but one who encourages, who supports, who demonstrates through example."